Welcome to an all-new Guardians preview! The base game of Guardians is in stores now and available from our own web store as well! We’ve been thrilled to see the response so far and we’re excited to add even more heroes to the fray! Back in August, we announced the first expansion for Guardians, the Uprising Hero Pack. This expansion will add four new heroes to the Guardians roster for players to explore and combine with their collection. Today we’re going to look over two of these heroes and a few of their cards. Let’s take a look at the first new hero found in this expansion. Introducing: Chamber! With 4 attack and 9 life, Chamber’s stats are certainly on the lower side, but mobility is key for this hero! Chamber’s Hit and Run ability allows him to move to any other location after an enemy at his location is dealt damage. This means Chamber can be a hard hero to pin down in a fight. 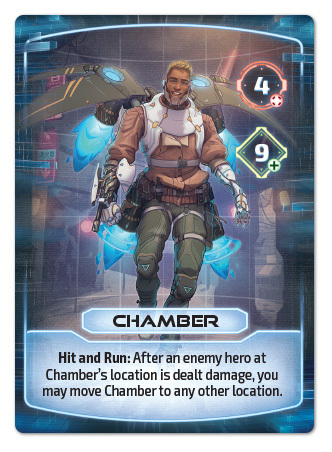 Additionally, Chamber is the first hero in Guardians to make use of Blast Damage! 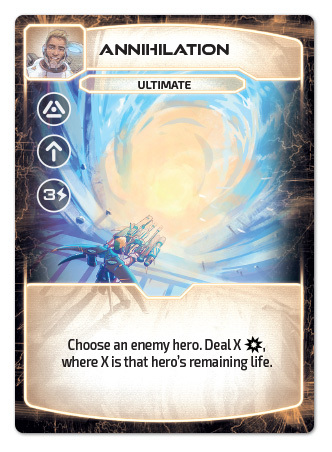 Back in our first preview of the Uprising Hero Pack, we explored a new mechanic making its way to Guardians: Blast Damage! This new form of damage is allocated by your opponent rather than dealt to a single hero. We can see on cards like Energy Cannon and Annihilation that Blast damage values tend to be a little higher than average because of this. 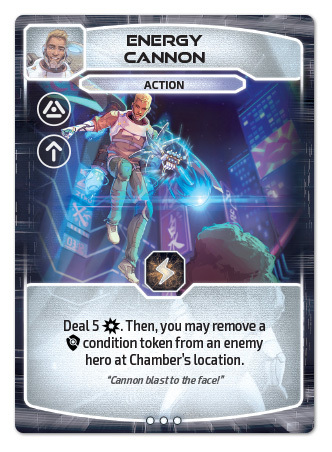 Not only is Chamber hard to keep in one spot, but his cards will be dealing out plenty of explosive hurt! Now, let’s take a look at a hero that’s all about timing. Check out Pandora! 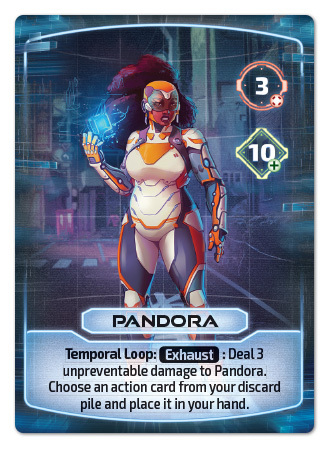 Pandora’s stat line is pretty average with 3 attack and 10 life, but her Temporal Loop ability is anything but! This exhaust ability lets players add an action card from their discard pile to their hand by dealing 3 damage to Pandora. Pandora’s kit is all about manipulating the timeline of the battle, as evident by her utility and ultimate card. Phaseback can let you claim a utility card from either your discard pile or deck, letting Pandora reach into either the future or the past to grab the tool she needs. 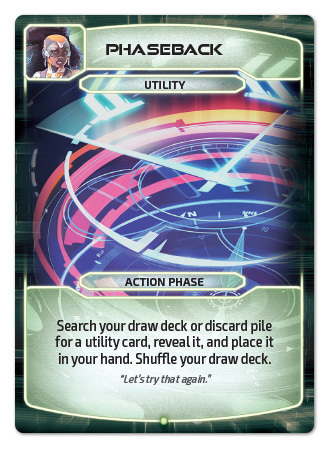 Divergent Timeline is a very powerful ultimate card that lets you take an additional turn when it’s used! 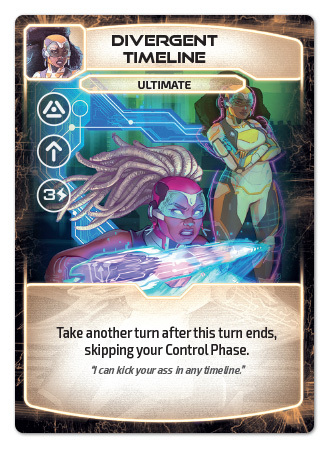 These and her other cards specialize in disrupting your enemy’s plans through time-travel. That’s all for this week! We’ve still got two more heroes to explore so be sure to come back next week for another Guardians preview! The Uprising hero pack will be available from retailers and our own web store soon, and Guardians is available now!